Have you had a letter from the scary Pensions Regulator? No idea about pensions or how to comply with the Auto Enrolment regulations? Don’t worry Zest is here to help! Auto Enrolment is the term used for the compulsory setting up of a workplace pension scheme for most employers in the UK. Certain workers will need to be automatically enrolled into the pension scheme. When do I need to be running my Auto Enrolment Pension Scheme? Each Employer has a “staging date” which is dependent on the size of your business and when your PAYE scheme was registered. This staging date is the date you need to have a pension scheme in place and which you have to work all of your employer duties around. Who needs to be automatically put in to the pension scheme? All employees aged between 22 and State Pension Age earning £10,000 per year (£833.33 per month) MUST be automatically enrolled into a Workplace Pension scheme on your staging date (or up to 3 months following your staging date if you choose to take up the postponement period – a guide to Postponement can be found HERE). If you are the sole Director of a limited company and do not have any other staff, the Auto Enrolment duties do not apply BUT you must still tell The Pensions Regulator that you are not an Employer. How can Zest Payroll help? Set up your Work Place Pension Scheme with NEST Pensions. 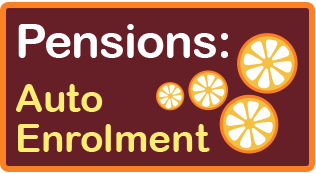 Produce letters for your Employees explaining the Auto Enrolment process and how it effects them. Review your Employees on your staging date and confirm who are “Eligible Job Holders” who must be automatically enrolled. Complete your “Declaration of Compliance” to let the Pensions Regulator know that you have carried out your employer duties. Once your scheme is set up, we will also take care of the monthly administration aspects of running your Workplace Pension scheme. 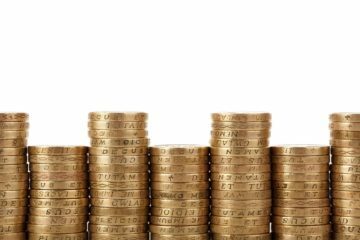 Monthly payroll fees are dependent on the number of Employees so please contact us and we will be able to give you a bespoke quote. Zest Payroll Solutions is NOT regulated by the Financial Conduct Authority (FCA) and therefore can not offer pension advice. Our Auto Enrolment set up with NEST Pensions is offered purely on a practical level to ensure that the employer’s Auto Enrolment duties are met. Zest Payroll Solutions do not receive any financial reward for any clients we set up with NEST Pensions.